Feeder celebrate 21 years of recording this year (2017); 21 years ago since the band came onto the scene with the release of their mini album ‘Swim’. As a band they have been together for 25 years which nowadays is almost unheard of. So what better way to celebrate this great milestone than with a ‘Best Of’ compilation? Feeder can boast 6 studio albums, 3 compilations, 41 EPs and singles, which means Feeder were just spoilt for choice with this anniversary release. In the end, they opted for 41 immense tracks, which indeed makes it a mammoth listen. ‘Polythene’ is the most represented album here, and maybe an education to some of the more recent fans. An opportunity to hear tracks like ‘High’, ‘Tangerine’, ‘Stereo World’ and in fact half the record – a testament to what was such a great album. Stand out tracks from ‘Echo Park’ have to be ‘Buck Rogers’ and ‘Seven Days In The Sun’, which really take you back to the energy of these guys in their early years. There is no real order to the album though; you can go from an ‘Echo Park’ track to ‘All Bright Electric’ and ‘Silent Cry’, which sounds mad but it’s a perfect mix. ‘The Best Of’ seems to take at least four songs from each album and their 2016 rebirth, ‘All Bright Electric’, is well represented with ‘Universe Of Life’ ‘Eskimo’ and ‘Paperweight’. ‘Just A Day’ is another unmissable hit, as are ‘Borders’, ‘Tumble and Fall’, ‘Comfort In Sound’ and ‘Renegades’ – a wonderful mixture of stripped back melodies and heavy rock anthems. It seems the only track that was noticeably missing was ‘Perfect Day’, but then you can’t have everything. 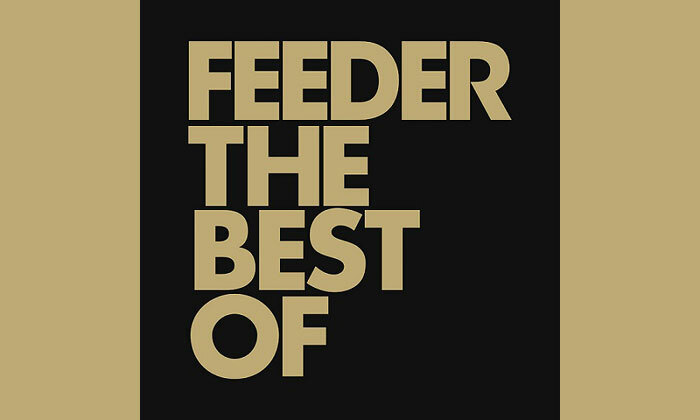 The great thing about Feeder is that they are always thinking about their fans and with ‘The Best Of’, they have also launched nine new tracks with ‘Veins’ being the stand-out single. This is certainly not a milestone album marking the beginning of the end for them, because they have clearly no intention of slowing down any time soon.